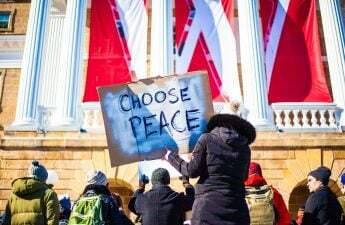 As University of Wisconsin rang in the new year and kickstarted yet another semester, students witnessed the passage of a historic divestment resolution, one of the largest women’s rights marches nationwide and the “alt-right” movements’ introduction, and disappearance, from campus. Dropik has a criminal record for racially motivated arson from about a decade ago. But he said his group was about making people feel welcome on campus, not about hate. 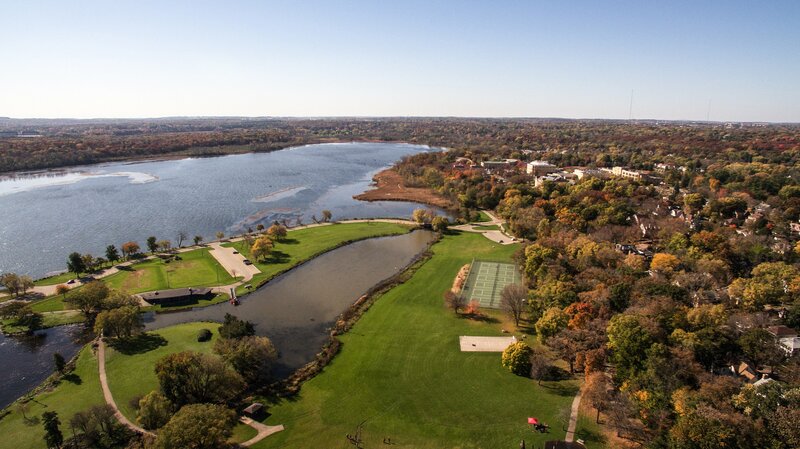 “We want to support students who have been harassed and heckled for having beliefs which challenge academic orthodoxy of race and other topics on this campus,” Dropik said in an email to The Badger Herald. The “alt-right” has frequently been characterized as a neo-Nazi movement, with the Anti-Defamation League citing it as a hate group. Both liberal and conservative groups on campus openly denounced the movement, stating they support free speech but not what Dropik is promoting. But Dropik said his group is not motivated by hate. Both white and nonwhite students have been interested in joining UW alt-right, he said. 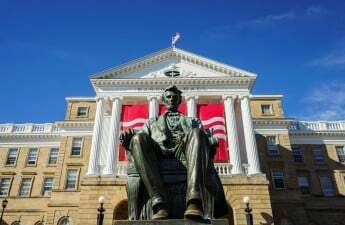 In a statement, UW Chancellor Rebecca Blank said the possibility of this type of activity on campus is “concerning.” But she said it was not illegal for Dropik to hand out political information and express objectionable, even hateful, viewpoints. 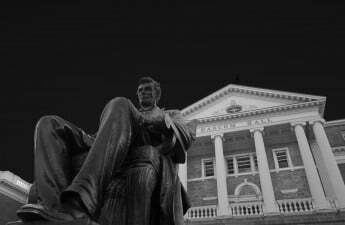 Approximately 70 students protested the “alt-right” on Bascom Hill in January, calling on their peers to fight against white supremacy. They interrupted a shared governance meeting where Blank was present and demanded she take action against it. 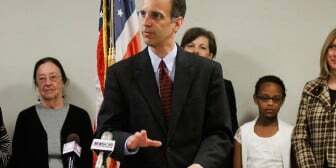 Though Blank stated several times Dropik’s words and actions are “personally offensive,” she stood firm in her conviction that unless violence is directly incited, he is allowed to speak freely. Associated Students of Madison also called out Blank to label the group as a white supremacy group. 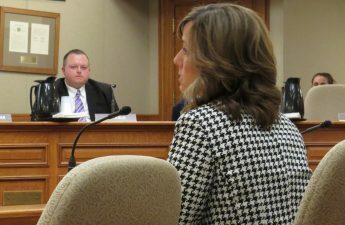 Blank said she will ask the UW System Board of Regents to review their admissions policy, which does not allow universities to review a student’s criminal history, in light of Dropik’s past crimes. 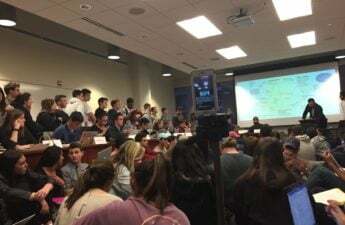 After facing strong opposition from the student body and administration, Dropik dropped his plans to start a chapter of the American Freedom Party on campus in early February. 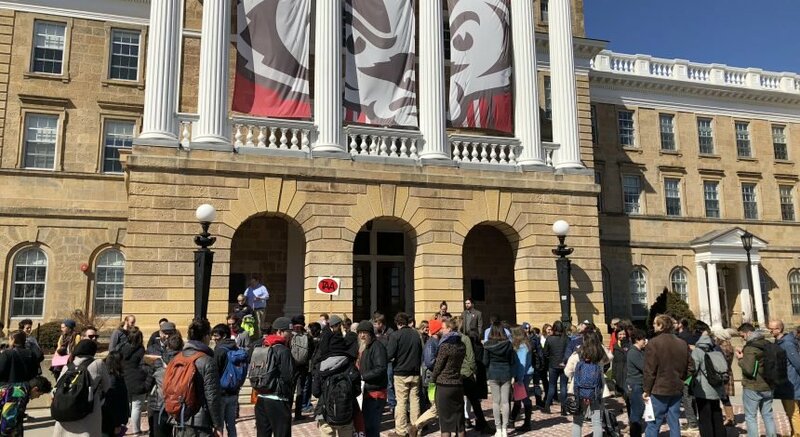 Associated Students of Madison proposed and passed a resolution for the University of Wisconsin to divest from corporations complicit in alleged human rights violations in late March. 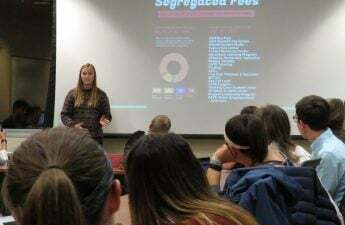 In a March 29 meeting, more than 60 students spoke at an ASM open forum about the resolution. 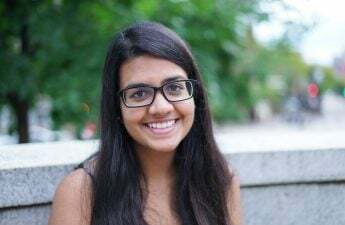 The students who spoke in favor of the resolution said it would bring more transparency to the UW Foundation and the student body, and take away funds from corporations that profit off human rights abuses. Those who spoke in opposition said the resolution was too similar to the Boycott, Divest, Sanction movement, which asks entities to withdraw support from Israel and Israeli companies. In six hours of heated debate, the legislation was tabled indefinitely in a 13-12-1 vote. But in an April 26 ASM meeting, the legislation was brought up again, this time without some of the more contentious previsions. ASM representatives cut down the legislation from its original 13 pages to one to appease the opposition’s requests. 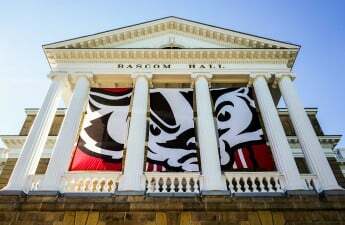 Representatives from Badgers United Against Hate said they were pleased with how ASM took Israeli and Jewish students concerns into consideration with the new legislation. After the open forum ended, ASM representatives added new amendments to reflect the resolution proposed in the March 29 meeting. The amendments named specific Israeli companies, prompting two members of ASM to leave. The updated resolution, now four pages, was passed in a 24-0-2 vote. Gov. Scott Walker’s contentious proposal to allow students to decide whether or not to pay segregated fees to fund certain student organizations reached a temporary resolution in April. 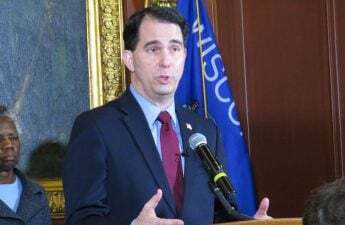 Walker and other Republican supporters of the opt-out proposal said it would cut costs for families struggling to pay for college. But ASM and a host of student organizations said it would throw funding for necessary student services into question. The Joint Finance Committee determined the opt-out was a nonfiscal item, and therefore could not be included in the governor’s state budget. But the issue could potentially re-emerge if a state legislator introduces it as an individual bill separate from the budget. The Associated Students of Madison and other students quickly responded to the opt out prevision when Walker proposed it in February. ASM is responsible for allocating student fee dollars at the University of Wisconsin. 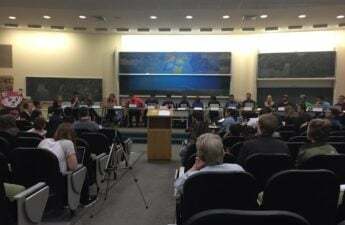 Students throughout the UW System came together to pass a resolution opposing the opt out, with representatives from 18 UW campuses participating in the vote. 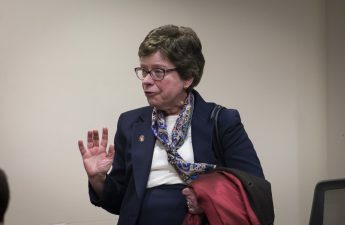 UW Dean of Students Lori Berquam also urged JFC to remove the provision, saying it would have had a “significant impact” on important services and programs like transportation, health care and veteran support. 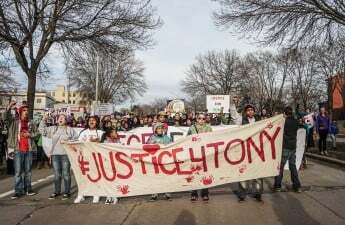 Almost two years after a white Madison police officer shot biracial 19-year-old Tony Robinson, his family received a federal civil rights settlement of $3.35 million. The settlement was the highest amount paid in state history for an officer-related shooting. But Kenny was cleared of any wrongdoing by Dane County District Attorney Ismael Ozanne. After an internal investigation, MPD also found Kenny had acted within the department’s code of conduct. MPD also said the settlement was likely to hurt its morale. Despite the settlement being the largest in state history, Robinson’s family still feels a void from their loss. For Robinson’s mother said the sum of the money didn’t matter. She wanted to go through with the trail, but didn’t want to put her children through that process. Racial just group Racial Justice Tipping Point created a petition calling for MPD to fire Kenny. According to the petition, firing Kenny would be one step closer toward accountability for him and the department. In response to the petition, MPD said the investigation was already conducted and they found Kenny acted within his rights and therefore will not fire him. 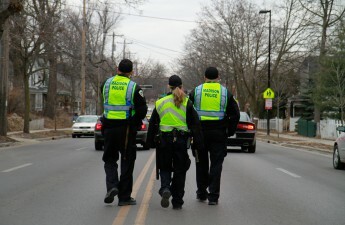 In response to the settlement, the city of Madison has made policy changes regarding backup in policing situations, which will hopefully save lives, MPD officials said. The year began with many federal actions regarding immigration and immense pushback from communities around the country, including Madison and Dane County. 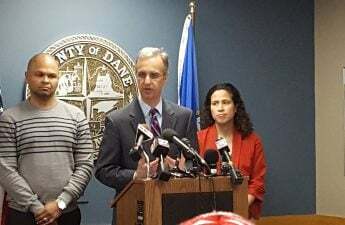 Dane County Executive Joe Parisi announced in February that the county would be creating an immigration assistance fund. The Dane County Board later approved a resolution in April to give the fund $150,000. 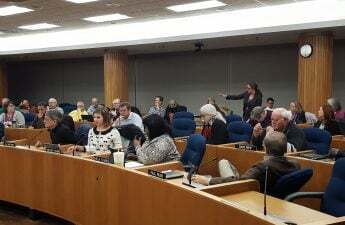 The resolution also seeks to help immigrants by reaching out to several legal service providers in the area to help develop emergency immigration assistance. The legal service providers will work with the Madison Community Foundation to help decide how money from the fund will be spent. Sup. Jenni Dye, District 33, said many organization have spoken in favor of the resolution. The board also created an amendment in March to help keep immigrants’ information private. The amendment itself further clarified what information falls under the category of “confidential information” and says which county employees cannot disclose this information. 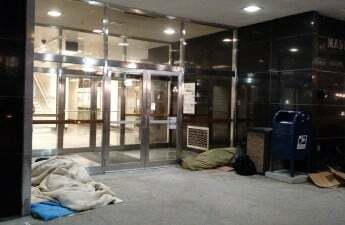 After months of debate between the Mayor Paul Soglin and City Council over a panhandling ordinance, numerous homeless initiatives, including creation of new housing and homeless owned on-call company, are on the way. The Homeless Issues Committee voted against a resolution prohibiting individuals from sleeping in Central Business District Area. County Sup. Heidi Wegleitner, District 2, said though no lawful alternatives exist, the city needs to address homelessness in more humane ways. The 2017 Dane County budget also prioritized reducing homelessness by bolstering funding for existing initiatives and starting funding for new ones, totaling $2 million. In a joint project between the city and county, $3 million will be used to develop a single-housing unit complex and affordable housing. 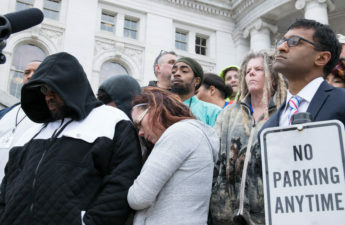 Madison residents also established initiatives to employ more homeless people. Resident Henry Johnson started the Homeless Entrepreneurship Initiative to hire homeless people for jobs ranging from moving to hauling scrap metal. Gov. Scott Walker signed a mostly bipartisan bill legalizing a cannabis oil extract in April. CBD oil has been effective at treating various seizure-causing illnesses. Several families spoke at a public hearing about the need for their children to have CBD oil to help with their seizures. A Wisconsin grandmother said her 2-year-old granddaughter suffers from seizures. The grandmother said she has to go to another state to purchase CBD oil and bring it back to Wisconsin. Rep. Scott Krug, R-Wisconsin Rapids, who co-authored the bill, discussed the need for this legislation in Wisconsin at a news conference in March. “As we move forward with the CBD issues in the state of Wisconsin, for me, it’s bittersweet because we’ve seen hundreds of families come through and talk to us about the need for a bill that works and is effective and now we’re able to deliver,” Krug said. The legislation includes a 30-day provision to help avoid problems with the U.S. Drug Enforcement Agency’s classification of CBD oil as a Schedule 1 drug. 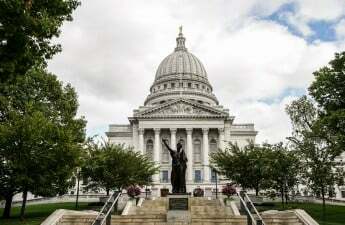 The provision makes it so if the federal government changes CBD’s classification, Wisconsin will follow suit in 30 days. 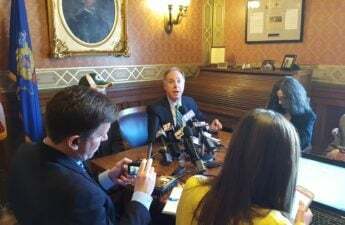 Assembly Speaker Robin Vos, R-Rochester, praised the bipartisan support of this legislation at the March news conference. “Today is a day that I could not be prouder to serve as the leader of the Assembly,” Vos said. Protesters have made their voices heard on the steps of the state Capitol for a variety of issues in the past months, but especially women’s rights. 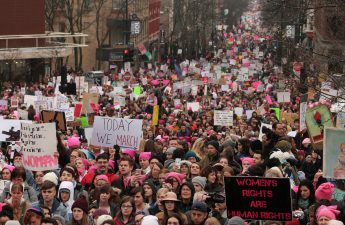 Sporting pink hats and signs showing solidarity with women, Madisonians joined demonstrations around the world to oppose Trump’s inauguration in January and again in March as part of International Women’s Day. 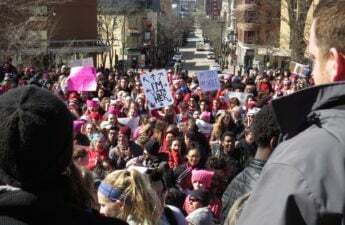 Madison Police Department estimated the crowd peaked at approximately 100,000 people for Madison’s Women’s March, which began at Library Mall. Those marching took issue with the normalization of Trump’s “misogynistic behavior” and welcomed a host of local politicians urging organization and information seeking. As demonstrators continued to call for community control and political engagement, people from different walks of life found common ground. At the “Day Without A Woman” strike, speakers encouraged attendees to “show up” for each other. One speaker, Zon Muas, said her goal with the protests was to speak up on behalf of minority women. “It was very important that we really spoke about solidarity and unity and showing up, because a lot of time women’s issues are just thought of as reproductive, but it is so much more than that,” Muas said. 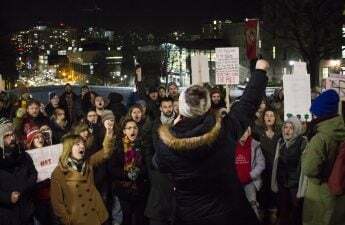 President Donald Trump’s executive order, which suspended entry of refugees and travelers, particularly those from a host of Muslim-majority countries, impacted 115 University of Wisconsin faculty and staff in January. UW Chancellor Rebecca Blank officially added UW to the list of universities calling for Trump to reconsider the executive order. Opponents of the order, including more than 200 students of various religious backgrounds, spoke out their supports for refugees at the top of Bascom Hill. The city board approved a resolution to fund the citizenship assistance services. Dane County granted $150,000 and reached out to local legal service providers such as UW Law School Immigration Justice Center and Jewish Social Services of Madison for their assistance with immigration issues.